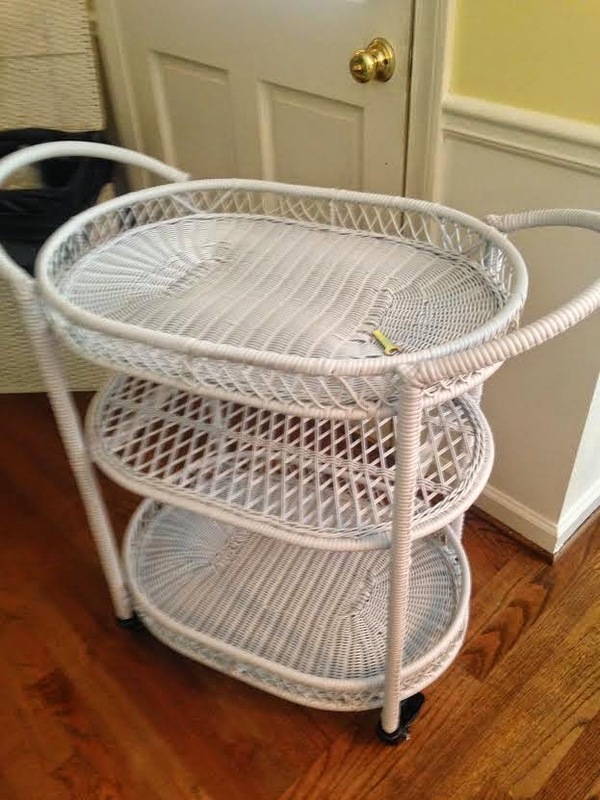 Since I just purchased this white wicker bar cart for my One Room Challenge I am pinning bar cart ideas on Pinterest like crazy. 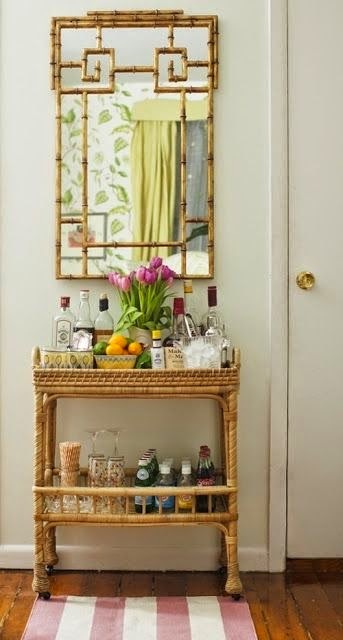 I love a bar cart and I will admit this is my third. We have one in the dining room, one in the den and now this one for the porch. Can you have too many?? Hello, my name is Paige ... 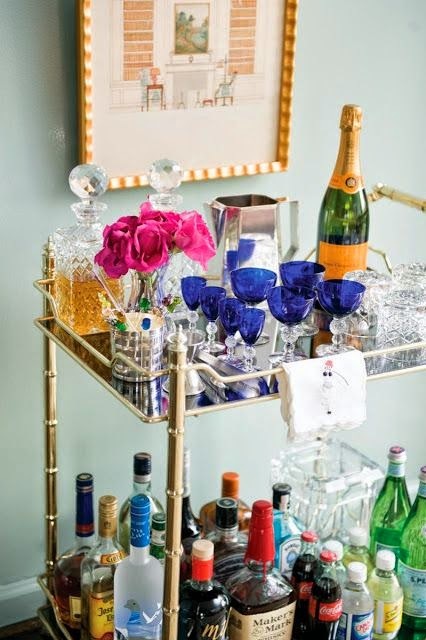 I love bar carts, brass, figurines, majolica, vintage glassware, ice buckets and so many other things. Do they have a meeting for me? This gold one is fantastic. The bamboo, the flowers and citrus. The straws ... its just good stuff! This pink one is AMAZING!! 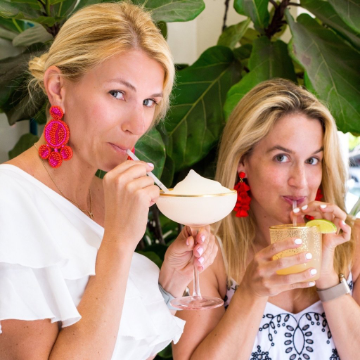 Again with straws and flowers and glasses. I see a good list coming together! More flowers, more citrus, more glasses and love the mint julep cup full of mint!!! The trays are fantastic and the bucket for sodas and cold mix ins ... brilliant Two more things for the list! 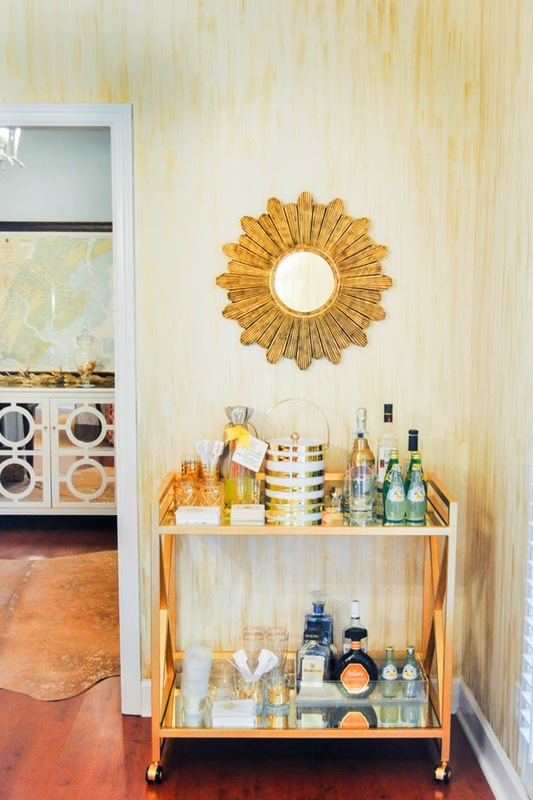 A bar cart doesn't need to be a cart. 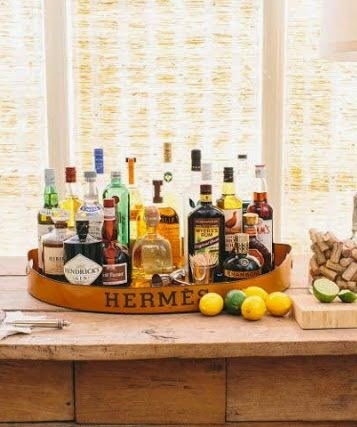 I would happily use this Hermes tray in a heart beat! And love the collection of wine corks. I have been collecting my own lately and writing on them when we shared the bottle. I love how its turning out! More citrus! Lemons and limes are a must!! Love that this one is under a mirror! 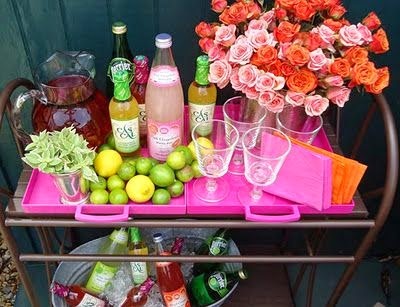 More citrus, more flowers, glasses, straws and this one has an ice bucket ... clearly these items are necessities for a successful bar cart styling! Another great one! Love the blue glasses, the flowers, the glasses and the champs! Emily McCarthy pixie sticks and coasters! 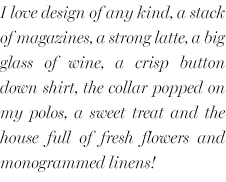 Of course, my entertaining style guru is none other than Emily McCarthy!!!! Isn't she magnificent!!! The colors, the textures and that smile! And let me share with you she hand painted that leopard wall behind her desk. 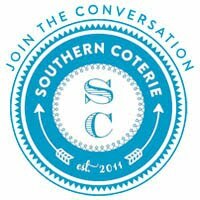 She makes branding an art form and does it sooo well! Talent for days and so kind. Yep. She rocks!!! Here is her bar cart in her dining room. 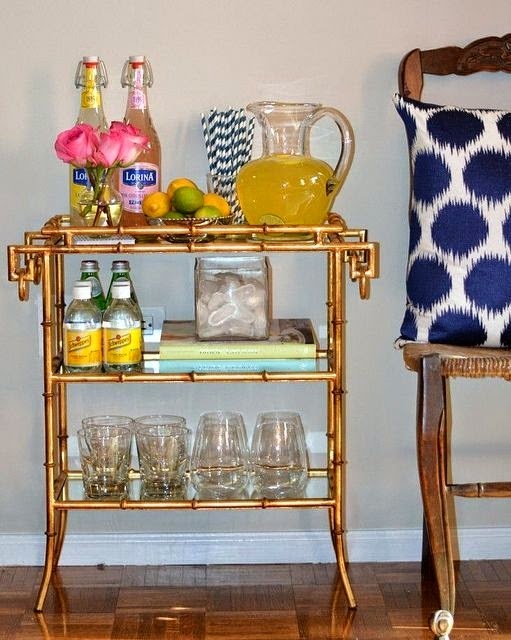 Love the gold, that ice bucket (she sells them) and the trays full of yummy things to mix together. 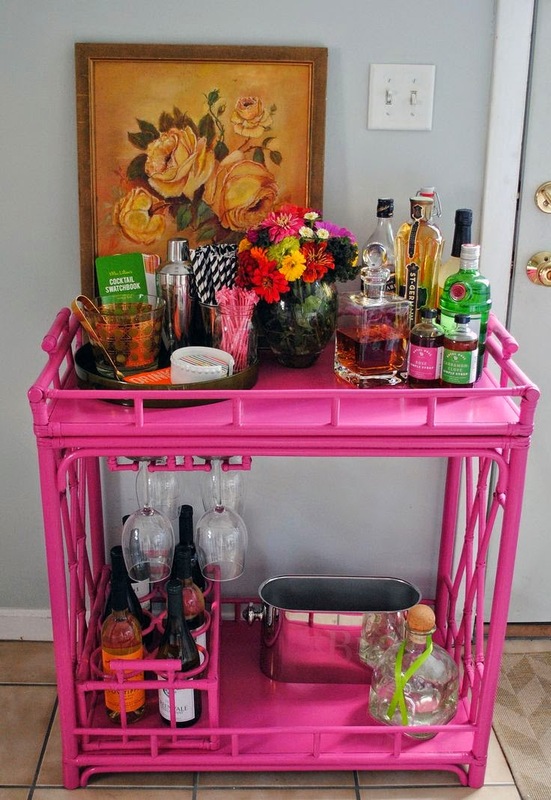 I have thoroughly enjoyed all the bar cart products I have ordered from her. My custom foil napkins get weekly use as do my swizzle sticks!! Lucky for y'all I have a giveaway today with the sweet Emily in mind!! 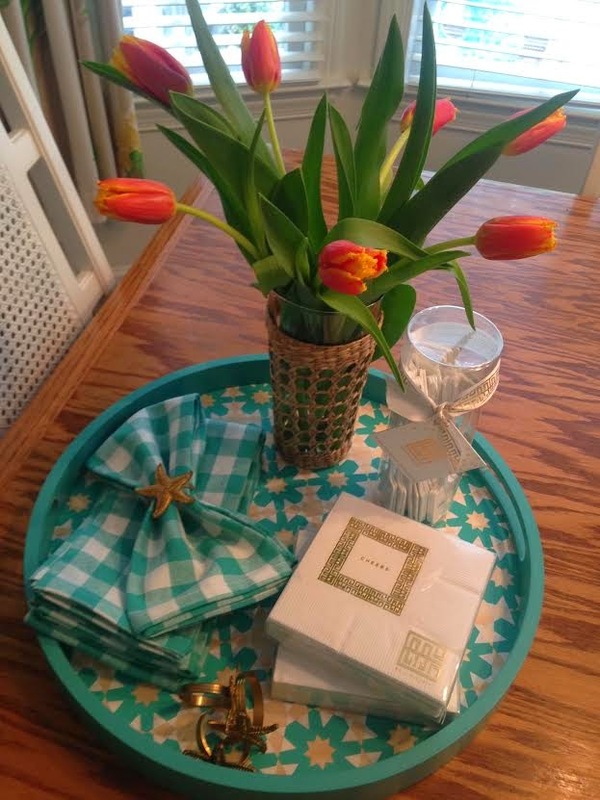 One amazing tray, 4 gingham napkins with brass shell napkin rings. 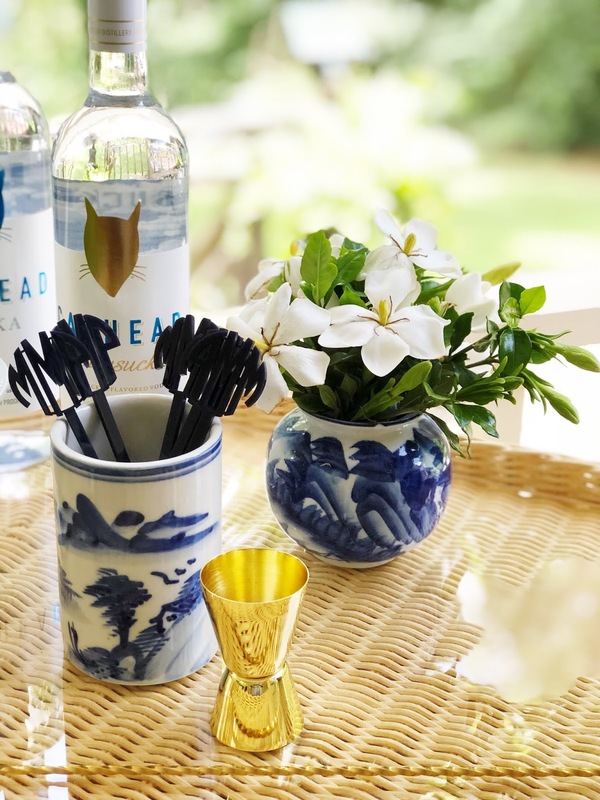 wicker vase, Emily McCarthy cheers napkins and Emily McCarthy cheers swizzle sticks!! Enter, comment and share ... giveaway ends Tuesday at midnight!! Winner announced in next Wednesday's blog post!! 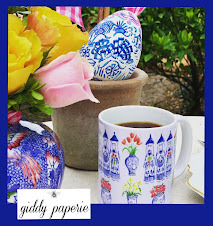 Loving these happies from Emily McCarthy! 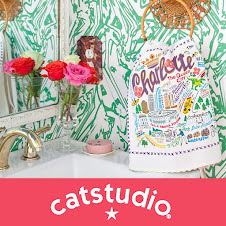 So fun for the spring and summer! 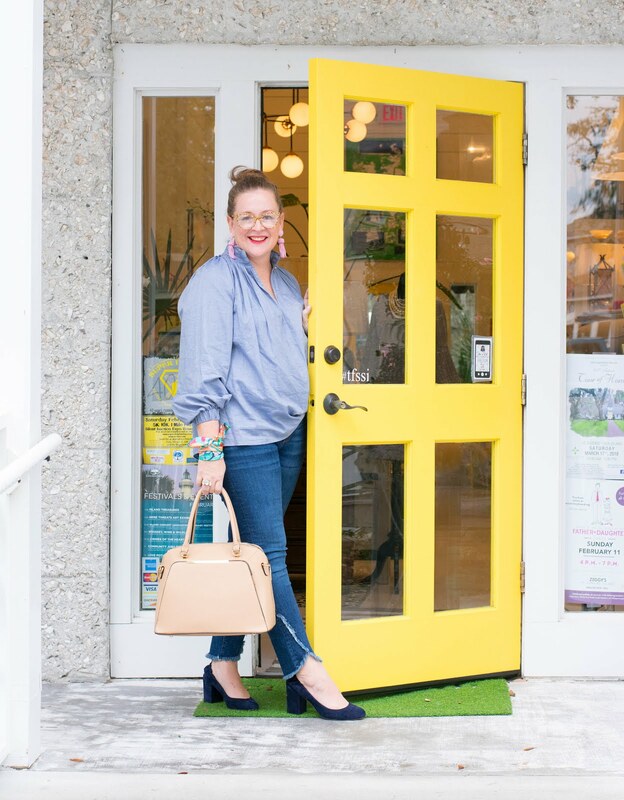 We just finished our screen porch and these items would be a welcome addition! Thank you for putting this together! Seriously love your interpretation of Mary McDonald's design. And love Emily!